1. Generate ROI. By investing in Client-site Training at National Business Training, you’re essentially helping your employees help you. Our instructors can transform your employees into experts before your eyes. As a result, you can enjoy increased productivity, reliability and accuracy in your final product – all with minimal downtime. 2. Maximize your training budget. Onsite training completely eliminates costly off-site travel time and expenses, and allows you to train as many employees as you need. 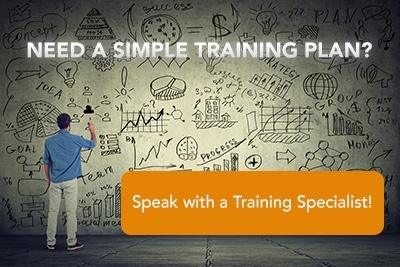 Whether your training budget is limited or extensive, Onsite Training with National Business Training can help improve your organization. 3. Train employees at your business’ convenience. Our Onsite Training staff is reasonable and flexible. We’ll work with you to create a schedule most feasible for your company. This way your staff can learn from the certified instructors in the most efficient, affordable method possible. Wherever you are, National Business Training can help. 4. Tailor the curriculum to your business needs. We will strategically craft your curriculum around specific subjects that apply to your company. Your employees will learn engaging, relevant material they can utilize immediately in on-the-job situations. Our instructors are certified in the curriculum they teach. They have the knowledge and ability to extract the best out of your employees, so you can get the best out of them. Contact us today to train your staff and help your business!